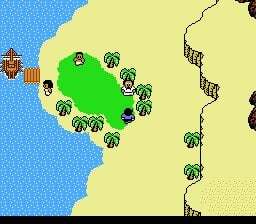 For banana fans and island hoppers alike, the original StarTropics stands to this day as an under-appreciated classic of the NES library. It's the kind of imperfect gem that sadly went a little under the radar at the time of its release, but has endured as a cult favourite thanks in large part to its distinctive charm. 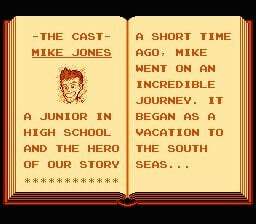 Though a solid action adventure title Mike Jones' first outing definitely wasn't without its problems, leaving plenty of room for a sequel to improve upon. In 1994 - three years deep into the release of the Super Nintendo in North America - that sequel arrived; though not entirely as you might expect. Zoda's Revenge: StarTropics II holds the honour of being the second-to-last licensed game ever released on NES, arriving at a time when even fans of the original had already moved on to Nintendo's latest 16-bit console. A smaller potential customer base than ever before was further splintered by a North America-only release, as the European market missed out entirely. With that being said, however, developing on outdated hardware didn't stop Nintendo from making some much needed improvements, so is this the superior entry in the franchise? Before answering that question, let's catch up with our friend Mike courtesy of an introductory chapter that sets the scene. He's back home in Americola with his Uncle, the famed archaeologist Dr.J, enjoying some hard-earned rest after defeating the villainous Zoda. With the doctor working on a mysterious cypher peace doesn't last long, and after reading the secret wording aloud Mike is thrown back into the Stone Age. Here it's revealed that Zoda has survived (No big shocker for anyone who read the title! ), meaning he'll have to travel through time in order to make his way back to the present and finish big Z off for good. It's a journey that spans several different time periods, trading in the original's tropical atmosphere for a lot more variety. From the streets of Rome to the sandy dunes of Egypt, the game's 8 main chapters all take place in a completely different environment, with at least one dungeon each. This concept definitely helps make things feel fresh this time around, but it's only going to seem superficially different to anyone who played the original. Zoda's Revenge is still a game of two halves: overworld exploration and Zelda-esque dungeon crawling. Examining both reveals changes good and bad, ultimately placing the experience somewhere in between. While the time travel concept was still fairly unique at the time, not enough was done to avoid falling into a pit of stereotypes and clichés, which results in a cast of characters that feel predictable instead of surprising. 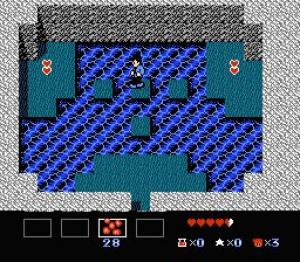 The original's overworld spurred the player on with a real sense of progression, but here you can practically see the list of boxes being ticked. Oh a trip to London? How could you not run into Sherlock Holmes! Visiting Camelot? Here's Merlin! Each character gives a few lines before sending you off to fetch something or at least point Mike in the right direction, and it makes the story feel a lot more hollow by comparison. That isn't to say it's awful - there are definitely some fun moments, like when Mona Lisa gets a new hairdo - but the spark of originality is missing. As before, the overworlds are explored similarly to a top-down RPG, allowing you to talk with people and search for clues. Generally speaking your main goal during these segments is to find out where the magic blocks are, which are the key to getting back home. Depending on the chapter these segments can present you with a fun little riddle or a simple trek to the dungeon and back. Sometimes you'll have to rely on clues given through conversations or in the environment itself, but that's generally as complex as it gets. Overall, the time-bending overworld sections are far less repetitive, but we ended up missing the tangible atmospheric island world of the original. Story and setting aside, the first major gameplay improvement is revealed as soon as the game kicks into an action section. Yes, our prayers have been answered - Mike can now move in all 8 directions, and isn't confined to simply hopping around on a grid anymore. He can now jump whenever you like, whether it's a moving platform or a higher level to climb, and even change your trajectory in mid-air. 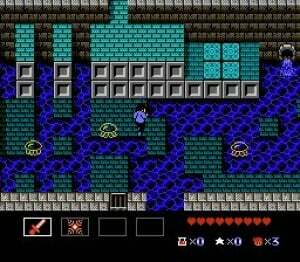 Mike doesn't feel as stiff anymore, thereby dungeons don't feel as generically tiled and restrictive. There are certain platforming sections that seem better suited to the previous system of control, but thankfully these are fairly rare. 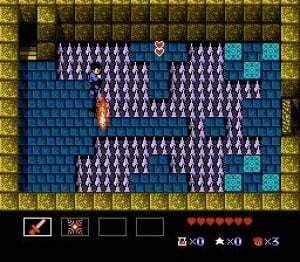 It's also possible to attack diagonally, though his famous yo-yo is a thing of the past. Instead, your main projectile weapon is steadily upgraded throughout the story, increasing in power with each iteration. Mike must miss his old ways, as whether it's a prehistoric axe or a full-blown sword this Americola kid just tosses it like a boomerang! Sub-weapons are back, as well as a new magic attack that weakens as you lose health. Enemies are standard fare again, with one too many re-colours for our liking, but at least fighting them is a lot more streamlined due to these changes. The difficulty has been slightly tweaked as well, scaling appropriately with each chapter until the chaotic final dungeons. Healing items are still scarce, especially as dying doesn't restore full health, so we were glad to have save states on standby to make it through some particularly nasty rooms. Invincibility frames after taking damage are noticeably shorter, pitfalls still result in instant death - there are plenty of ways you can be punished for making a simple mistake, and Zoda's Revenge presents a real challenge after the halfway mark. The hideously annoying "ding ding ding" sound that plays when you're low on hearts is more invasive than ever, and you'll be hearing it all too often by the end. Graphically the game is no slouch, pumping out some superbly detailed character portraits and environments without a hint of slowdown during hectic battles. There's definitely much more variety in the design, and the same could be said about the game's eclectic soundtrack, but we'd argue that the aesthetics are really a matter of taste. StarTropics II feels quite different from the original, despite how much they both share in common, and fans may or may not be too happy about that. It's more fast-paced, more snappy, but less adventurous and memorable. A nostalgic throwback to C-Island during the final chapter actually came off as a little bittersweet, making us wish we were back. 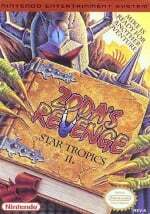 Zoda's Revenge: StarTropics II is a sequel that could have been absolutely great, and almost did everything right by improving on a clunky control scheme to make the action sections more fun. Sadly, its overworld and characters are disappointingly unimaginative in comparison to the first, leaving us with an adventure that's mechanically improved but creatively lacking. 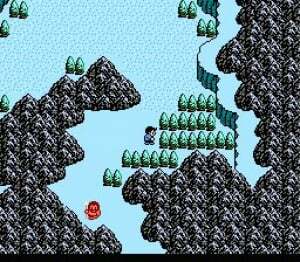 We still think it's definitely worth checking out, and perhaps by any other name we'd have even been less harsh, but any entry in the StarTropics franchise has some rather big and charmingly silly shoes to fill. Let's be honest here; it just isn't the same without the yo-yo! Every time I seen the name of this game I think of the F-Zero racer Zoda. Definitely not the same dude sadly. @hcfwesker don't you have it on Wii? Whats interesting about this review is how it points out this game checks all the checkboxes. I am fairly confident this game invented or at the least had no template with which to check, and the review's point of view is based on comparing this game to the other games that have come out in the last 20 years. Just my 2 cents. I played both of the Star Tropics back in the times they came out, and I enjoyed both. You are aware this and the original were both aimed at America, right? By the way, an underrated game usually doesn't make covers of Nintendo Power, or sell millions of copies! The original ST was a was a pretty magical experience, and in ways I even preferred it over the original LOZ. Haven't tackled ST2 yet....Kind off putting considering it's a step down compared to the first. @Cia LOL right, you don't buy into Startropics and open up shop with it to get yourself some money. It's not McDonalds or Starbucks. Nobody in the Nintendo fandom seems to know what Franchise or Gimmick means. @dankykong congratulations! You know one definition of the word franchise! Here, learn another. Learning is fun! Collect all definitions for maximum fun. "a general title or concept used for creating or marketing a series of products, typically films or television shows." I hated this game and did not care for the first. This is one of the few games I did not beat for the nes, not because I couldn't ; but for lack of interest. If you liked the first one go for it, but be warned. I loved this on cartridge when I was younger. An 8 from me by NES standards. Recommended! Not sure this is worth the money. I paid $2.99 for a MIB copy 2 years ago, but then again, the battery is sure to die on me at some point. Its like zelda with a few rpg elements. If you like zelda you will emjoy startropics games. The review is spot on with how I feel. I felt the gameplay was superior to the first, but it definitely lacked the "charm" of the first. I feel as far as what made StarTropics "StarTropics" was captured superbly in the first game. For those that played the first and were on the fence about the 2nd, by all means play it as it's still a worthy play.